Mysteries of the Universe. Solved. Sort Of. I am loving watching Stargazing Live. When I grow up I am going to be a Space Scientist. I just need to get my head around maths first. I am scared of numbers. Not little ones, I can cope with my change at the shops, and simple sums. In fact mostly I am OK with maths containing numbers. It is maths that contains letters that terrifies me. Which is odd, because letters are usually my friends. I like letters when they make words. Words are fun. Equations are not fun, they are baffling representations of how daft I actually am. 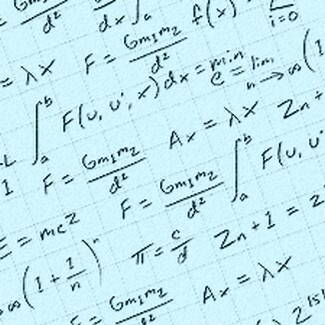 Can you be a Space Scientist without a grasp of the scary Maths? I bet you can. For example, I once found the Higgs Boson particle down the back of the sofa. It was hanging out with two odd socks, a leaky pen and a large variety of biscuit crumbs. And dark matter? Easy. It’s marmite. I bet. The key to intergalactic travel? Clearly you need dilithium crystals for that, I learnt that from the font of all space knowledge – Star Trek, and I am 99% certain that that is exactly the sort of crystal they put in the fake diamond rings that they offer for sale on QVC. It’s just that real scientists are too busy looking at weird letter maths to watch QVC so they haven’t noticed yet. Astronomy and all that quantum physics lark that sits alongside it, is a combination of both philosophy and religion. Instead of how many angels on the hypothetical pinhead, it is quarks we are counting now. And listening to Brian Cox describing the end of time with such serenity is the atheist version of the Archbishop of Canterbury’s Christmas message. The thought of all that bleak nothingness soothes our minds. Or terrifies us. I haven’t quite decided yet. And I am loving all that talk of Goldilocks planets. For us 1970s kids, Close Encounters has left an indelible mark – a fascination with the idea of aliens, beings from other planets. We don’t want to be alone. The responsibility is too great. Like children turning to their parents, we long for a wise, kind race to come along and give us the answers, and make it all better. Don’t talk to me about microbes on one of Saturn’s moons, I want friendly giants in silver cloaks, different enough to be alien, but similar enough not to scare us. I don’t want Independence Day, no, I want the peaceful bunch represented in Stephen Spielberg’s epic. Right, can’t stay here all day, am off to the Jodrell bank website, to see if they have any jobs going for idiots, or failing that, the open university to sign up for ‘Space 101’. Or I might just play the Close Encounters jingle on a toddler keyboard. Ok – so we get more alike all the time! This is really quite scary! I’m totally with you on the whole maths and numbers thing! – much to the disgust of my maths genius daughter! YES! Seriously this is exactly how I feel about it all. Love, love, love Stargazing Live and anything to do with space and astronomy but whenever I open a book about it, I tend to go cross eyed. Perhaps we should form the Astronomical Society of Idiot Space Lovers. Brilliant Sonya – that’s made me smile too! The children seem to think I have a wondrous knowledge of all the planets and space stuff, but really, I’m with you on the dark matter being marmite – or maybe dark chocolate, slightly melted. OOh I hope it is chocolate, a chocolate universe makes me happy! WONDERFUL post!!! I loved reading this partly because I too share this same love, partly because your writing is just brilliant. When I was at uni in the States I took an Astronomy 101 course in my first year and part of it was held in the planetarium. The lecturer sounded just like Sean Connery so when the lights were off and we were all tilted back looking up at space, having a lesson in astronomy by Sean Connery was probably one of the best combined experiences on THIS planet at that time. And no, I can’t do the Big Maths either. Ugh.